Item # 312409 Stash Points: 5,495 (?) This is the number of points you get in The Zumiez Stash for purchasing this item. Stash points are redeemable for exclusive rewards only available to Zumiez Stash members. To redeem your points check out the rewards catalog on thestash.zumiez.com. A shining example of the brand's focus on creating classic, clean-cut footwear, State presents their Elgin silhouette in an immaculate bone white colorway. This shoe's upper consists of lightweight canvas that's been reinforced with a thin perforated rubber layer that's been dubbed the Duraflick. Simple and easy to pair with jeans, chinos and shorts alike, the Elgin is a versatile addition for any of your seasonal looks. 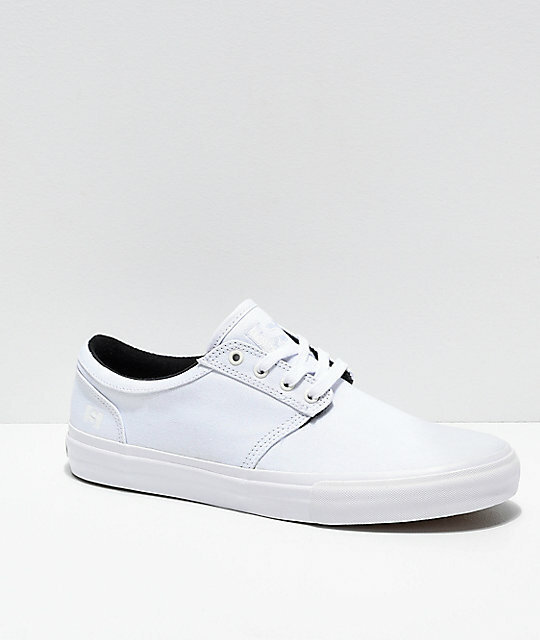 Elgin Bone White Canvas Skate Shoes by State. 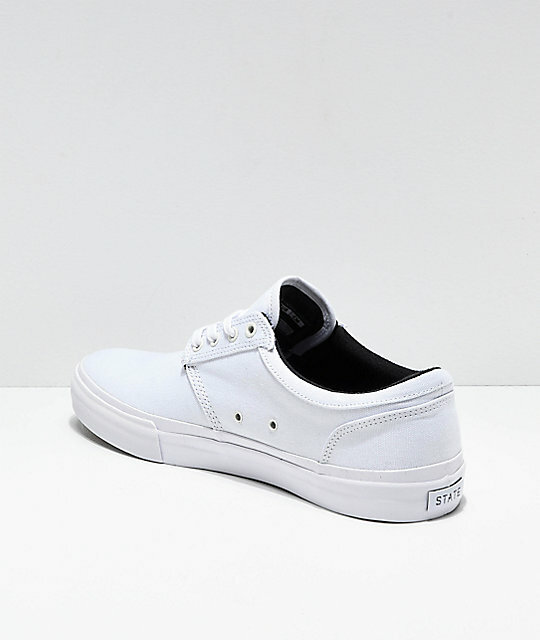 Canvas upper with double stitching throughout sidewalls and back of heel. Double wrap vulcanized construction with visible foxing rubber tape for added durability. 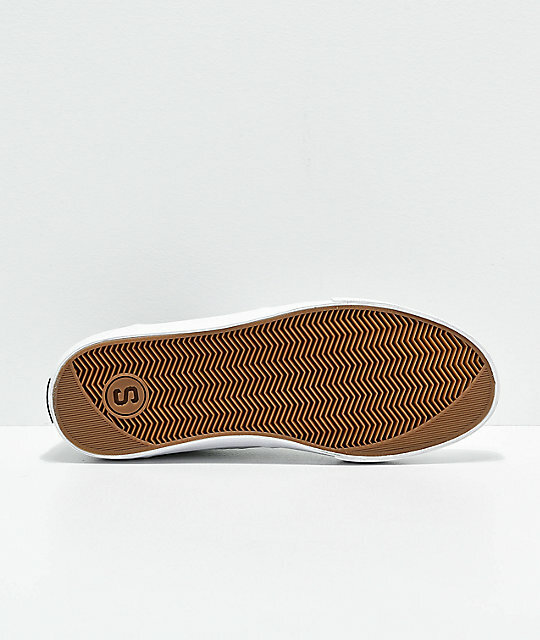 State's Duraflick, a thin perforated rubber layer underneath the toe and ollie area for added abrasion resistance. Removable polyurethane footbed for impact absorption. Metal eyelets on the inner sides for ventilation. Rubber herringbone tread pattern with State's HT Drag rubber, extra rubber around the toes and heel for drag stops. State logo tag on the tongue.